Perfect for putting a little superhero style into your home decor, our Blankets and Pillows Category at Superheroes Direct offers you these cozy essentials featuring high quality graphics from superhero comics, movies, TV shows, and more. Our fleece throws are great for curling up with while watching a Marvel Cinematic Universe or DC Comics film as well as adding an extra layer of warmth and style to any bedspread or couch. Our fleece throws and pillows are also great for traveling, particularly when you would rather not haul along a large comforter, quilt, or full size pillow. Pair our blankets with our decorative superhero pillows for a complete home decor or travel look that falls nothing short of super. Who will win this epic fight? 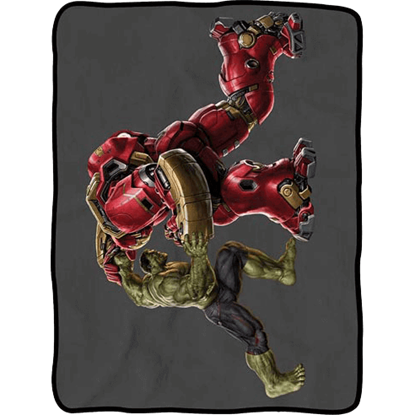 The Avengers 2 Hulk Fight Fleece Blanket features an image of the Hulk grappling with Iron Mans Hulkbuster armor. Will the Hulk prove he is the strongest, or will the Hulkbuster suit prevail? What has happened to Iron Man to leave such a crack on his helmet? 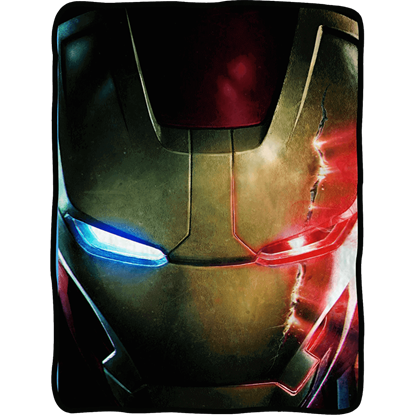 The Avengers 2 Iron Man Face Fleece Blanket features a close up of Iron Man with a thin scar-like fissure running down one side of his mask, leaking scarlet light. Behold the power and destruction of Mjolnir! 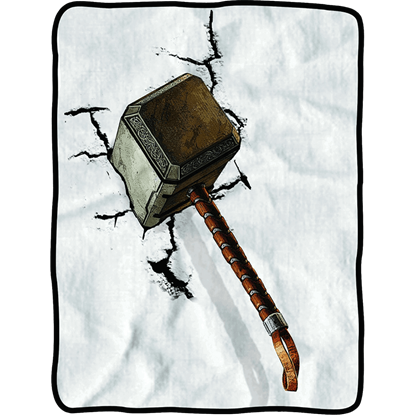 The Avengers 2 Mjolnir Crash Fleece Blanket features an image of the trusty hammer of Thor, giving the visual effect like it was just thrown forcefully at your blanket. The Avengers face a new threat to humanity in the sequel film, Age of Ultron. 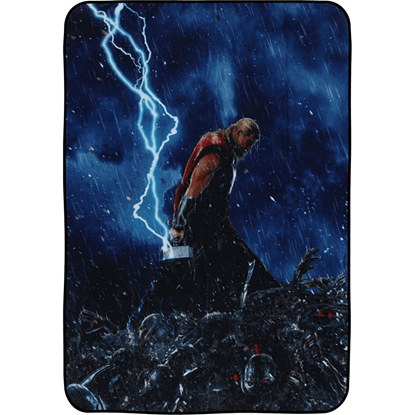 The Avengers 2 Thor Fleece Blanket displays an image of Thor wielding his mighty hammer as he stands atop a pile of Ultron robots that he has destroyed. Avengers Assemble! You can almost hear Captain America calling out to rally the troops as the Marvel superheroes prepare to battle their immortal nemesis Loki. 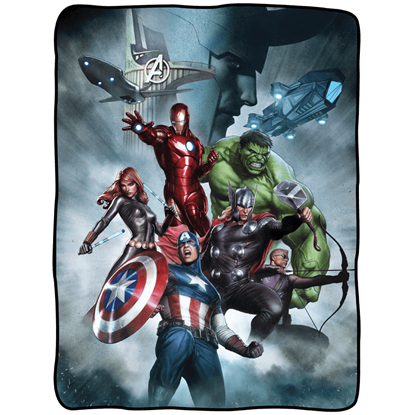 This Avengers with Loki Fleece Blanket is perfect for your tv room. Show your affiliation with House Baratheon by displaying this shield-shaped Game of Thrones pillow in your home! 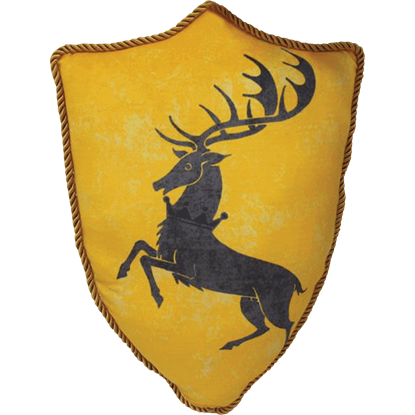 The Game of Thrones House Baratheon Sigil Throw Pillow displays the crowned stag emblem of the house on the front. Show your affiliation with House Greyjoy by displaying this shield-shaped Game of Thrones pillow in your home! 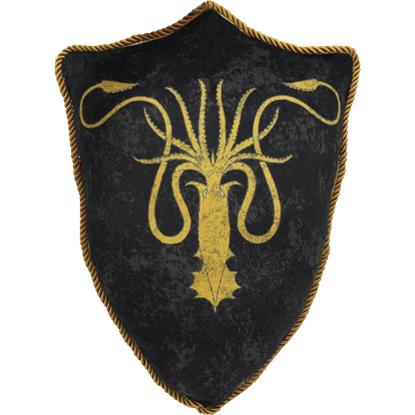 The Game of Thrones House Greyjoy Sigil Throw Pillow displays the golden kraken emblem of the house on the front. Show your affiliation with House Lannister by displaying this shield-shaped Game of Thrones pillow in your home! 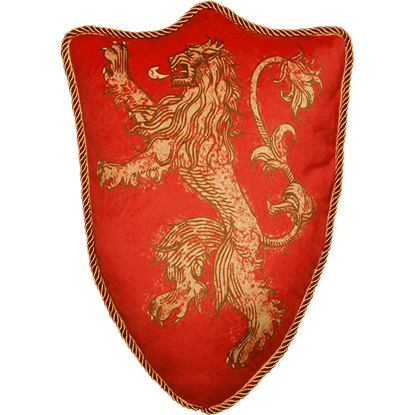 The Game of Thrones House Lannister Sigil Throw Pillow displays the lion rampant emblem of the house on the front. 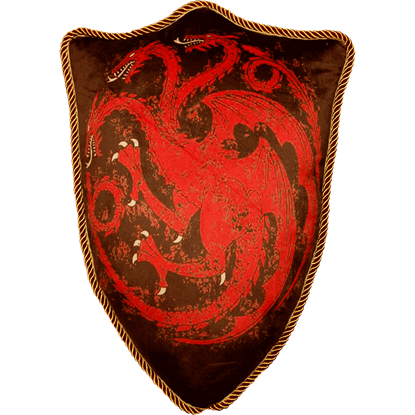 Show your affiliation with House Targaryen by displaying a shield-shaped Game of Thrones pillow in your home! The Game of Thrones House Targaryen Sigil Throw Pillow displays the three-headed dragon emblem of the house on the front. 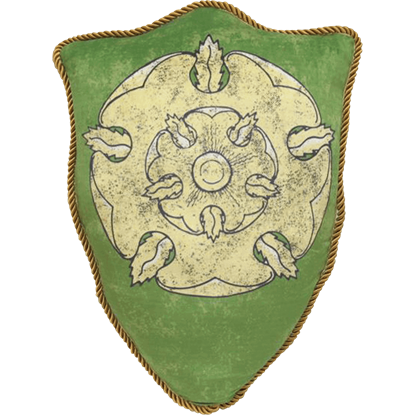 Show your affiliation with House Tyrell by displaying this shield-shaped Game of Thrones pillow in your home! The Game of Thrones House Tyrell Sigil Throw Pillow displays the golden rose emblem of the house on the front. 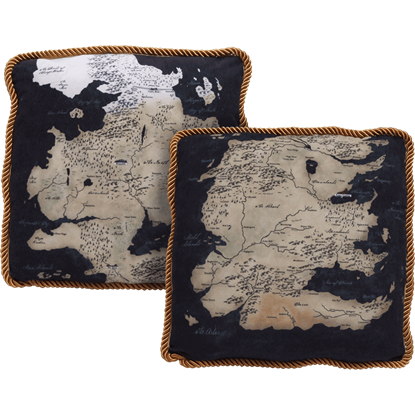 Learn the geography of the lands of Westeros with the help of these excellent collectible throw pillows! The Game of Thrones Westeros Map Throw Pillow Set comes with a pair of pillows printed with a highly detailed map of Westeros. Whose side are you on? Are you for or against the Superhuman Registration Act? Do you support Captain America or Iron Man? 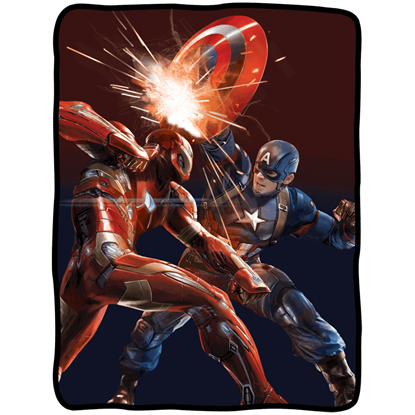 Whoever you back, this Marvel Civil War Fleece Blanket captures the dramatic battle between the two Avengers.